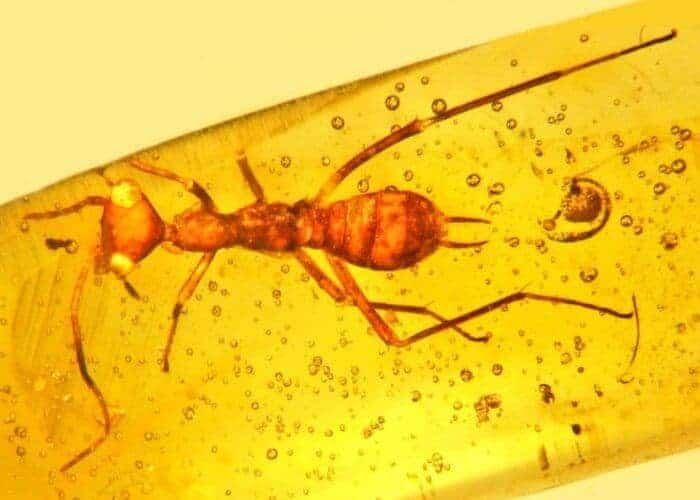 Researchers at Oregon State University have discovered a 100-million-year-old insect preserved in amber with a triangular head, almost-alien and “E.T.-like” appearance and features so unusual that it has been placed in its own scientific “order” – an incredibly rare event. The insect has been assigned to the newly created order Aethiocarenodea, and the species has been named Aethiocarenus burmanicus, in reference to the Hukawng Valley mines of Myanmar – previously known as Burma – where it was found. Only one other specimen of this insect has been located, also preserved in Burmese amber, Poinar said.